Textar has introduced an OE quality dampening shim to the aftermarket. The Textar Q+ offers significant advantages in both visual appeal and acoustic dampening. The result of an extensive development and testing programme, the Textar Q+ has a unique textile composition. Designed to offer outstanding dampening and decoupling properties and significantly enhanced braking comfort. Featuring high quality embossed branding, the shims are instantly recognisable, with a reassuringly premium look and feel. Developed and tested for O.E. 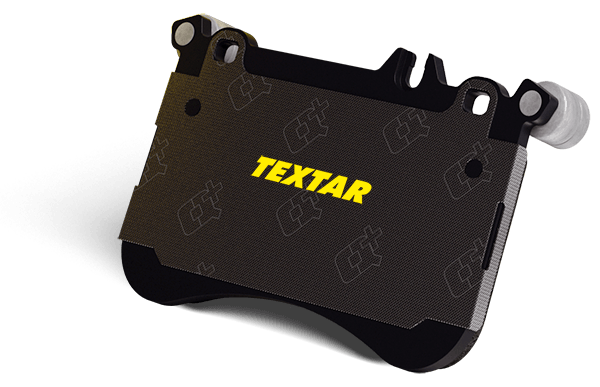 Textar Q+ shims have been developed to deliver optimum braking performance in conjunction with high quality brake discs and brake pads. Manufactured from premium grade cast iron, Textar brake discs are engineered to OE tolerances. 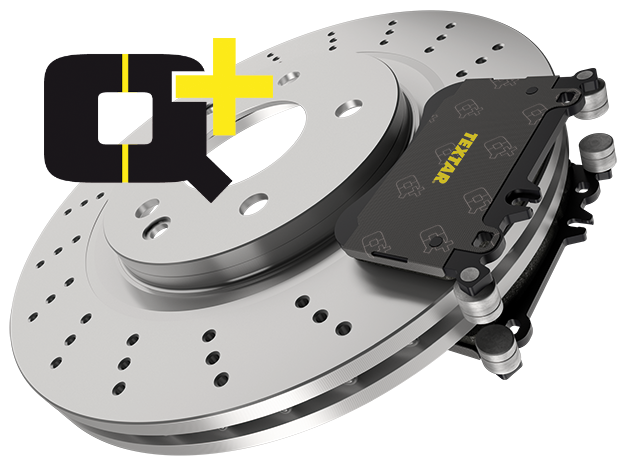 And each disc is fine-tuned to meet the exact performance and wear characteristics of our matching brake pads – developed and tested in close collaboration with leading automotive manufacturers. The dampening shim is an essential factor in delivering optimum braking comfort. 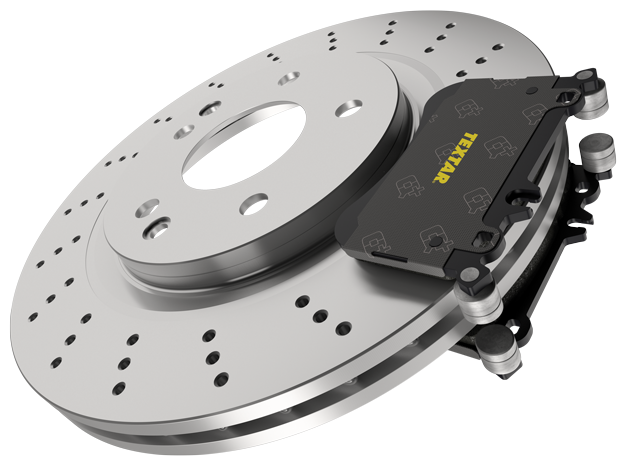 It prevents direct contact between brake piston and the backing plate during braking – acting to reduce the vibrations and high frequency noise that can result when braking.